Mordaunt-Short Aviano 6 review | What Hi-Fi? 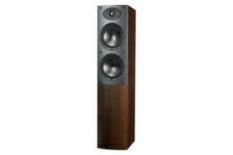 The uninitiated may find it hard to believe, but £600 for a pair of floorstanding speakers is a fairly meagre amount. You can find the odd set for a similar price or less, but you certainly won't find any that look as immaculate or feel as well engineered as Mordaunt-Short's Aviano 6s. The Aviano 1s were the first speakers we saw from the company's latest range, and the £200 standmounters set a high standard. Initial impressions of the 6s suggest they are cut from the same cloth. There's a lot of speaker here, and the attentive design and 'soft organic contours' make these UK-engineered units extremely easy on the eye. Far from just pretty faces, the 6s incorporate a tweeter that benefits from technological advances made for Mordaunt-Short's Performance Series. They also harbour two of the company's latest 6.25in mid/bass drivers. If the build and design wasn't enough of a statement, the sound certainly is. Listening to Mr Hudson's Stiff Upper Lip, these speakers are a bass-lover's dream, delivering controlled weight and power in abundance. That's not to say it's overpowering; rather it helps helps to provide a solidity and presence that even the best standmounts just can't muster. Moving on to The Dead Weather's boisterous cover of Dylan's New Pony, the Aviano 6s prove they are more than competent bass boxes. Snarling vocals and dirty guitars combine delightfully in an emotive and exciting, yet cohesive and coherent rock-out. given room to breathe, making for an altogether even-handed, balanced sound. will deliver a little more. But if it's floorstanders that you're after, and you prefer an authoritative, bassy sound, you really must hear these Avianos.